Rising 9,600 feet above sea level, crisp mountain air and breathtaking scenery provide the perfect place to escape during the spring and summer. With the world's largest concentration of national treasures including Zion National Park, Bryce Canyon National Park, Grand Canyon National Park and Cedar Breaks National Monument, vacationers looking for their next adventure need not look any further. 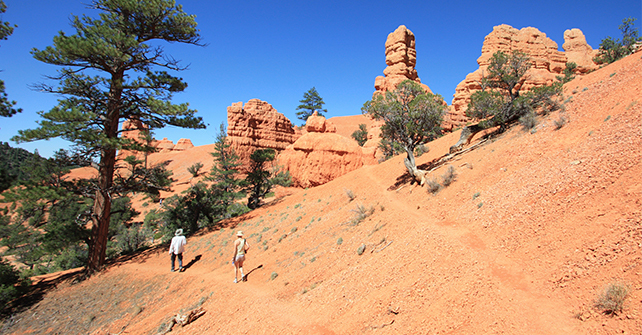 Escape to the beauty of the unspoiled wilderness that awaits you in southern Utah. The beautiful climate and mountainous terrain of Utah's national parks provide the perfect backdrop for fun summer activities like mountain biking, fishing, ATV trails, hiking, and breathtaking views. Adventurers of all ages and experience levels won't be disappointed with a spring and summer trip to Brian Head, Utah.